Looking for a holiday gift idea that is sure to please? Plan a getaway to Door County with family or friends for next summer. The vacation will create lifelong memories, such as visiting unique shops and the iconic Wilson’s Ice Cream, taking a quiet kayak ride along the shoreline or going on a hike through the woods. When deciding where to stay, consider Ephraim Shores Resort, one of the top places to stay near Wilson’s Ice Cream. Experiences, such as a vacation with family or friends to Door County, make great gifts since they create countless memories. You can plan a trip with lots of details, including dinners at specific restaurants, a bike ride through Peninsula State Park or a nighttime visit to see the stars at Newport State Park, a designated dark sky park. Or you can go the other direction and let family members help you plan the vacation. In either case, you can write up the plans, place them in a wrapped box and put under the Christmas tree for a loved one to open. As you put your plans together for the getaway, contact us to make a reservation or order a gift certificate for the 2018 season. Beginning Jan. 1, you can also book your 2018 dates online. 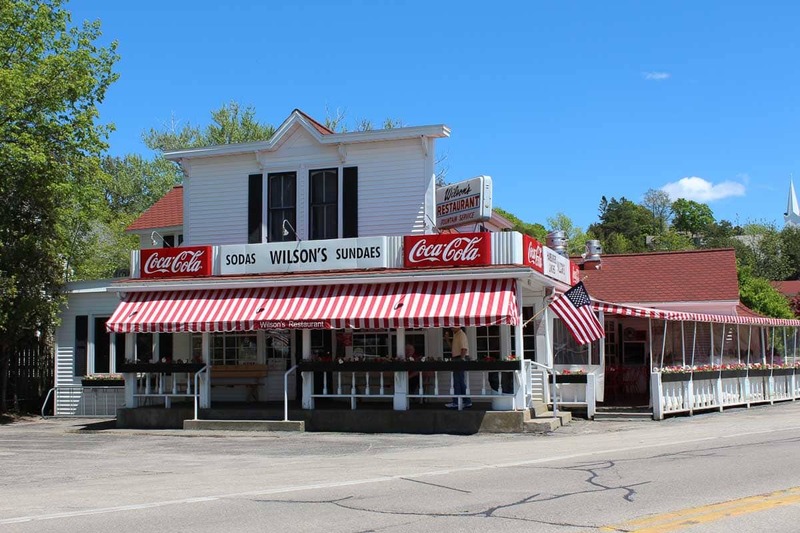 The resort is close to village shops and restaurants, including Wilson’s Ice Cream, a true Door County landmark. Ephraim Shores is near the northern entrance of Peninsula State Park, with its miles of hiking trails, a golf course, a beach and swimming area. As temperatures fall, planning a summer vacation is a lot of fun. There is so much to do in the area from shopping and visiting different restaurants to trying one of the many silent sports in Door County, including kayaking, biking or hiking. Ephraim Shores Resort is a great choice and one of the top places to stay near Wilson’s Ice Cream. With a variety of room sizes and multiple amenities, we are the ideal destination for your family getaway.